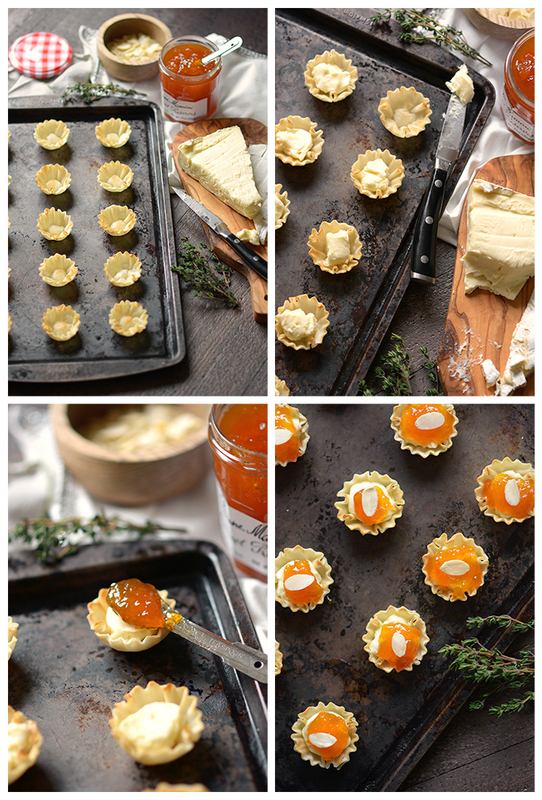 Almond Apricot and Brie Phyllo Cups – Wow your holiday party guests with these perfectly balanced, perfectly delicious, and ever so easy to make little appetizers! Even better than a dinner party is a cocktail party. 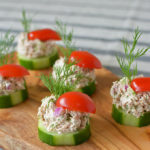 Sure, the cocktails play a role in this opinion of mine, but what I really love about a good cocktail party is the appetizers. Being a food blogger, I can’t help myself. 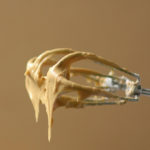 I love all the different bites of flavor worth trying once, or twice, or in the case of today’s recipe, about ten times! 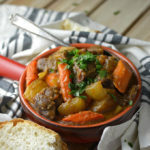 With Christmas quickly approaching and it being just about time to ring in the New Year, I’ve been cooking up all kinds of decedent and celebratory recipes on the blog. 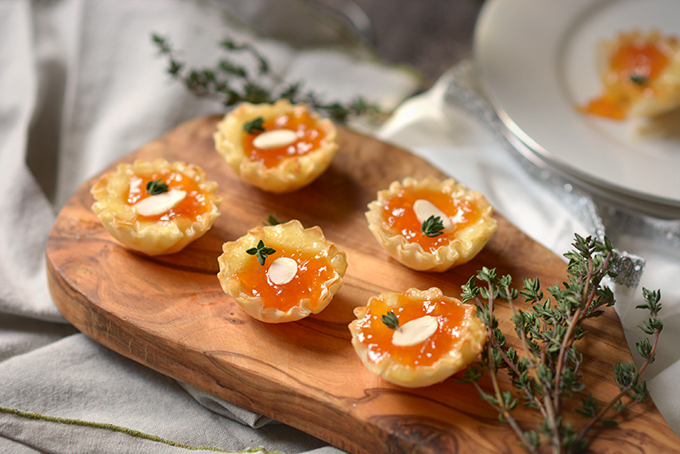 My favorite this season, however, are these Apricot Almond and Brie Phyllo Cups. 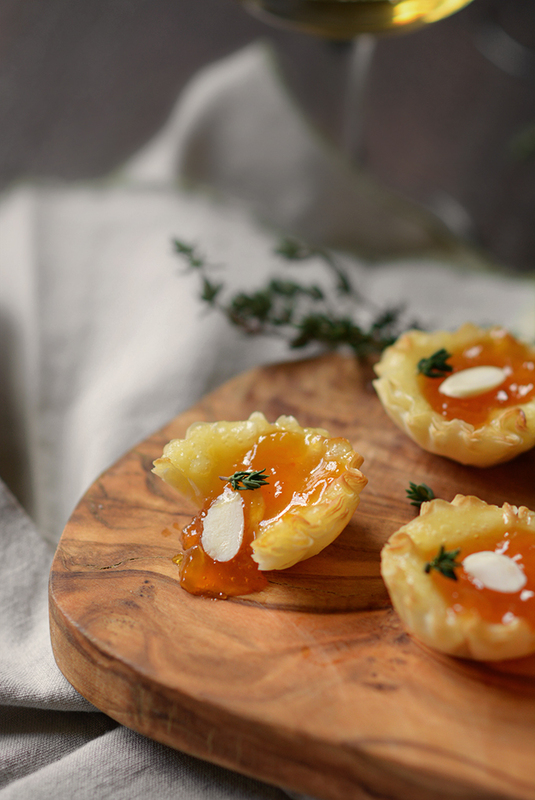 They are the perfect, delicious balance of savory brie, sweet apricot jam, a nutty almond, and an aromatic sprig of thyme all wrapped up in a crunchy, bite-sized phyllo package. 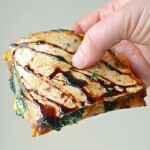 Now, if you’re the person in charge of hosting this year’s holiday cocktail party, I think you will especially like this recipe. 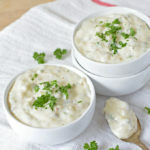 In addition to being something that everyone will love, this recipe is just about one of the easiest appetizers I’ve ever made. Check out my step-by-step photo directions to see just how easy it is! 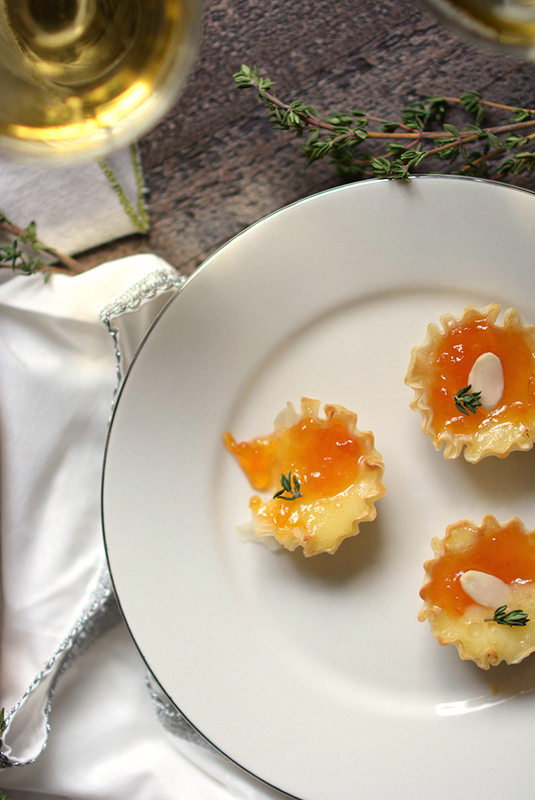 Add these little Almond Apricot and Brie Phyllo cups to your holiday menu. 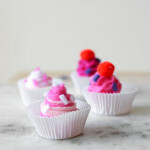 They’ll be a delicious and elegant way to bring in the promise of a happy new year! Arrange the phyllo cups on a baking sheet. 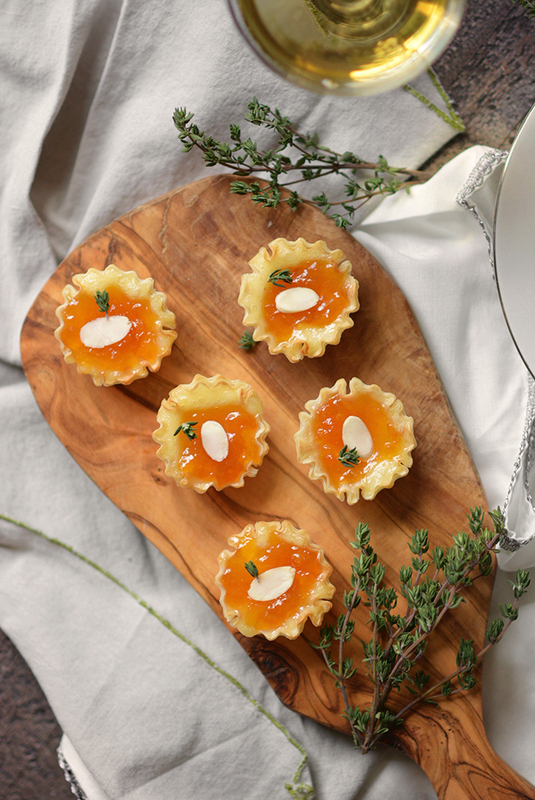 Fill each phyllo cup with about 1 tsp of brie cheese and then ½ tsp of apricot jam. Next, top each phyllo cup with 1 sliced almond. 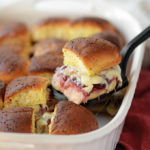 Bake for 6-7 minutes, or until the brie is melted and the appetizer is heated through. 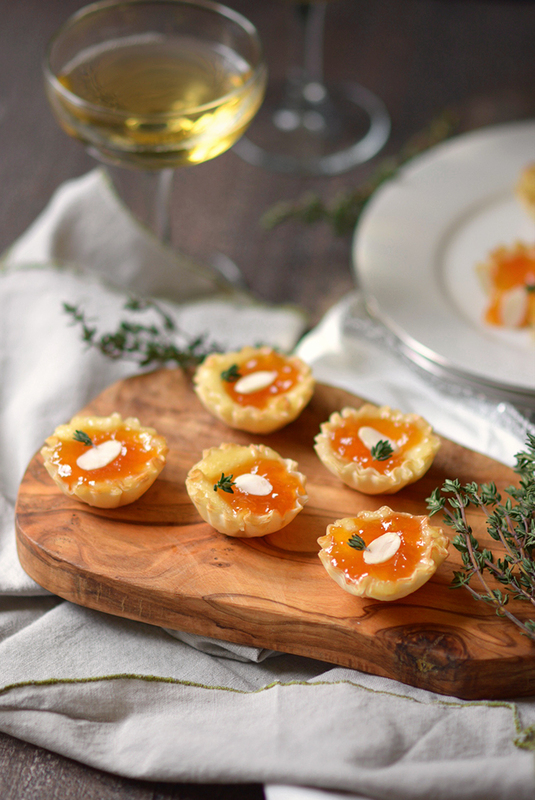 Garnish each phyllo cup with a small sprig of fresh thyme. **The thyme isn’t just for garnish. 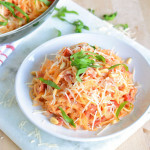 It adds an extra layer of flavor to this recipe, so I don’t recommend skipping it.